Steven Spielberg picked up the phone at his Universal Studios office. Spielberg immediately headed to Warner Bros. Studios, where Scorsese had been sitting in on the scoring session for his new movie, Taxi Driver. “You gotta meet Bernard Herrmann,” Scorsese said. He grabbed Spielberg by the hand, raced him into the recording studio and parked him squarely before the great composer who, even seated, projected an imposing figure, his large, protruding stomach showered with cigar ashes. “Bennie, this is my friend Steven Spielberg,” Scorsese said. Herrmann flashed one of his infamous scowls. Two of the duo’s most cherished projects, E.T. The Extra-Terrestrial and Raiders of the Lost Ark, will be shown at Ravinia this season, with the Chicago Symphony Orchestra supplying Williams’s music live—E.T. on August 1 and Raiders on August 2. One of Herrmann’s most critically acclaimed scores, that accompanying Alfred Hitchcock’s 1958 classic Vertigo (which recently unseated Citizen Kane atop the British Film Institute’s list of the best films of all time), will be shown a couple weeks later, on August 15, with the CSO again bringing the score to life. 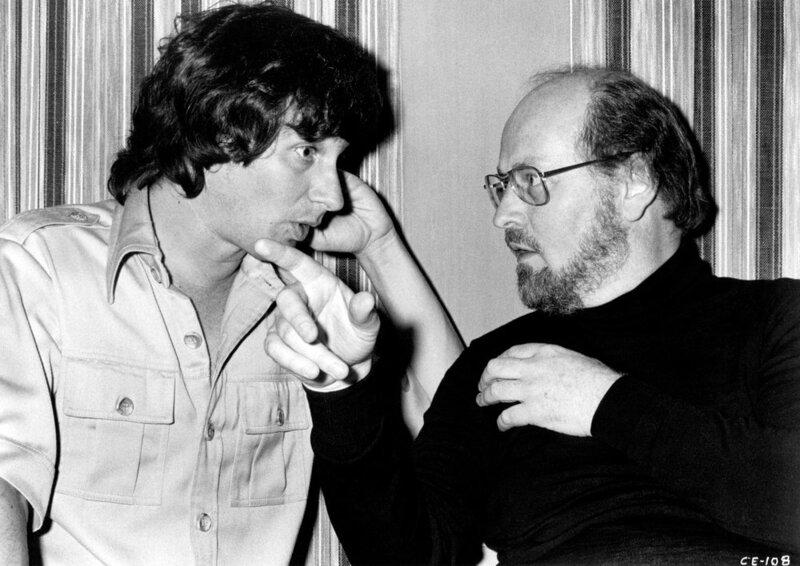 Despite their fateful meeting in December 1975, Spielberg and Herrmann would never work together. The creator of the music for Citizen Kane, The Day the Earth Stood Still, and Mysterious Island—and even the first version of the title theme for The Twilight Zone TV series, as well as scores for multiple episodes—died of a heart attack in his sleep only hours after glaring at the young director of the new movie Jaws. In a sense, their meeting earlier that day marked a metaphorical passing of the baton from cinema’s greatest composer/director team to that of the next generation, and an arguably even greater team at that. Until their bitter falling out over the 1966 political thriller Torn Curtain, Herrmann and Hitchcock had made a magical marriage of music and moving images. Herrmann supplied the music for 17 episodes of The Alfred Hitchcock Hour TV series and scores for seven Hitchcock films, including the disorienting, chaotic title track of North by Northwest, the rhythmically piercing strings of Psycho, and, of course, the lush, ominous orchestrations of Vertigo. Then the Soaring Sixties hit with electric guitars and synthesizers. 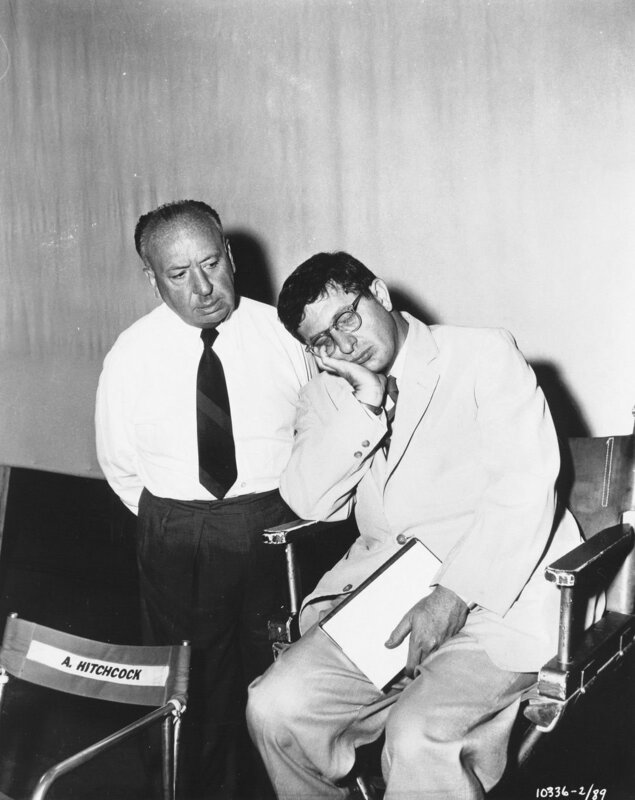 Hitchcock, worried that Herrmann’s traditional score to Torn Curtain sounded outdated and old-fashioned, urged the composer to come up with something more pop and jazzy. Herrmann agreed, but simply created another one of his “old-fashioned” scores, one instantly scrapped by Hitchcock. The rift between the two artists never mended. Their relationship—the clash of the titan egos—sharply contrasts with how Spielberg and Williams have worked together for 44 years. So, what secret did Williams/Spielberg possess that enabled them to outlast and outperform Herrmann/Hitchcock? “John is different,” Spielberg said of his musical sidekick. “John doesn’t have a style like Dimitri Tiomkin has a style. I can close my eyes and recognize a Dimitri Tiomkin score. John is much more a chameleon. He changes his style to suit the picture that we’ve made. That’s the most amazing thing about working with John. I don’t get the same John Williams twice. In 2011, the dynamite duo did something they had never done before—they sat down with each other to talk about their incredible collaborations before a studio audience at the Conservatory of the American Film Institute. (NB: Most of the quotes in this article come directly from that exchange, broadcast by Turner Classic Movies.) 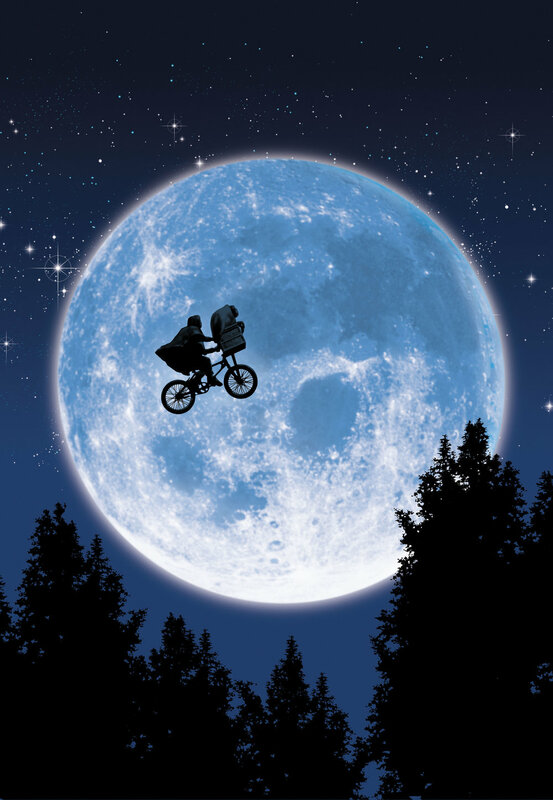 Spielberg and Williams selected examples of their favorite scenes merging music with visuals. Shortly after Steven Spielberg (left) and John Williams (right) made a breakthrough with 1975's Jaws, their second film together, they began work on 1977's Close Encounters of the Third kind. Williams visited the set during filming (pictured) while working on the score, particularly while developing the recurring five-note motif for communicating with the visiting aliens. The theme to Raiders ranks as one of Williams’s most iconic works. Spielberg credits its success to the composer’s sense of timing and restraint. “He sparingly uses it,” Spielberg elaborated. “When he uses it, it allows us to root for the hero. When he doesn’t use it, we are worried about our hero. He’s so wise as to when to release the main theme. Williams turned 86 in February, and Spielberg turned 71 in December. How do they keep their partnership fresh? “He [Williams] makes the promise,” Spielberg said, “and it’s my job to keep the promise. Then if I can’t, then it’s his job to write better music than I directed, so he can keep the promise for me. Gee, this could qualify as the longest “showmance” in Hollywood history. Other famous composer/director teams have conducted themselves into cinematic forces similar to the Williams/Spielberg and Herrmann/Hitchcock duos, and doubtlessly more will continue to surface and one day receive the mantle of “greatest today.” Despite the year-in–year-out ubiquity of certain names under the line “Music by,” an examination of these ear/eye-catching combos reveals how democratic the job of scoring films can be, with the musicians’ origins varying from concert pianists to pop or rock band singers. Ennio Morricone (left) earned some of his greatest acclaim composing for Sergio Leone (right) and his spaghetti western films, and he finally won an oscar in 2016 (becoming the oldest winner in Academy Award history) for Quentin Tarantino's western The Hateful Eight. Nino Rota/Federico Fellini, 14 films (plus a TV movie and a documentary). A child prodigy who composed an oratorio at age 11 (and published his works at 13), Nino Rota became best known in America for his romantic theme to Franco Zefferelli’s Romeo and Juliet and highly romanticized theme to Francis Ford Coppola’s The Godfather. But his simple, memorably melodic works (more than 150 scores) will be forever tied to the films of the great Federico Fellini, especially his 1963 masterwork 8½ and 1964’s La Strada, winner of the first Academy Award for Best Foreign Film. Fellini praised Rota for writing music that gave order and organization to his “chaotic” imagery. 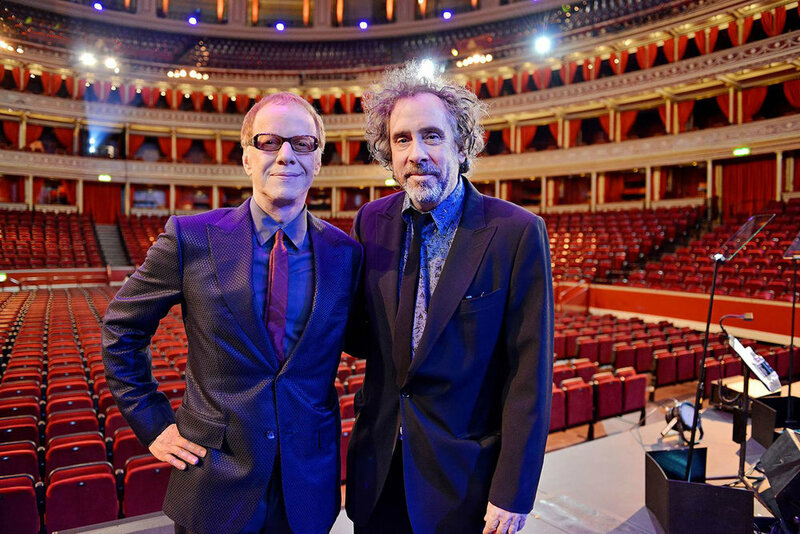 From Pee-wee to Dumbo, Danny Elfman (left) and Tim Burton (right) have formed an unmistakeable artistic tandem. Only three burton-directed films in the past 30 years have not featured music by elfman. They even recently collaborated on a concert program featuring highlights of their work together, which was presented at Ravinia in 2015. John Barry/the James Bond movie directors, 11 films. Although Monty Norman receives credit for creating the James Bond Theme (the most significant single piece of movie music created so far), Barry arranged it, filtering it through his big-band sensibilities, then went on to score “007” spy thrillers for the next 25 years, with his screaming crescendos of brass, percussion, and winds helping to push Goldfinger to become the most influential motion picture of the 1960s. Carter Burwell/The Coen Brothers, 15 films. The highly versatile Carter Burwell handles many different music styles with aplomb, which makes him an ideal collaborator for the eclectic and eccentric Joel and Ethan Coen, for whom Burwell has scored all of but two movies, O Brother Where Art Thou? and Inside Llewyn Davis. Burwell’s distinctly quasi-thematic sound (and Martin McDonagh’s quirky direction) made the Oscar-winning Three Billboards Outside Ebbing, Missouri into the greatest Coen Brothers movie never made by the Coen Brothers. Dann Gire is the president and founding director of the Chicago Film Critics Association. John Barry’s original soundtrack to Goldfinger was the first LP he ever purchased.